A global community of women who walk. NEW! Get your Glamoraks branded gear here. Glamoraks is unlike any other walking group. Because it’s powered by you. All over the world women are feeling the pull of nature, a desire to get their boots on and head outdoors. Some are beginners, others have been hiking for years. Some need a comfy bed at the end of a walk. Others are happy to sleep under the stars. It doesn’t matter your age or stage, this isn’t competitive. It’s collaborative. 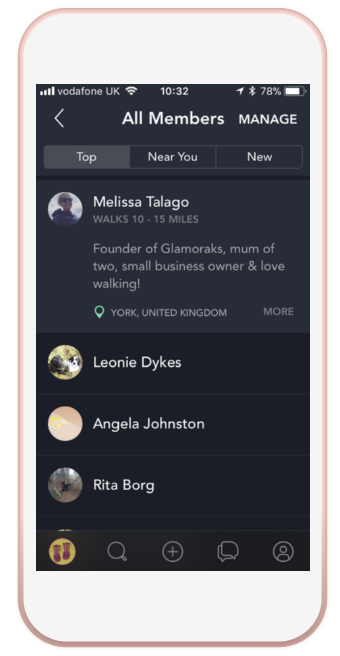 By using the Glamoraks community and sharing their experiences, women are finding other women to walk, hike and adventure with. It’s helping them step out of their comfort zones and create time for themselves, while making new friends. Mostly, it’s making them happy. And that is the Glamoraks mission: to make women happier one step at a time. This is the start of a whole new you. This isn't a normal walking group where walks are organised and you go and follow the leader. This puts you in control. You decide when you want to walk, where you want to walk and who you want to walk with. The community simply makes it easy to organise. Think of it as an airbnb but instead of finding properties around the world, you find other women to go hiking with. Think of it as a free gym membership but with a BIG difference. You won't just get fit. You'll get a mental and emotional boost too. It could just change your life. Step 1: Join online & add your profile. Look at the welcome info to find your way around. Step 2: Introduce yourself & start to chat, share, ask questions or arrange / join in a walk. Find members near you, browse the events, see what's for sale in the Kit Klub or join / create a local group. Step 3: Go on a walk you've joined or arranged. Meet new people. Go home feeling energised and happy. Or take part in one of the exclusive members only paid for walking weekends organised by Glamoraks or our partners. Step 4: Come back & share your pictures, walks, routes and experiences. And repeat! Any time you fancy a walk, let people know or join in with others. The more active you are, the more you and everyone else gets out of it. Step 5: Coming soon - Get inspired by 'Meet the member' live events or Q&A sessions with members who've done something a bit different. Enjoy discounts from outdoor brands and walking holiday companies. Chat to someone new. Rediscover yourself. I discovered Glamoraks on Facebook. I recently moved home to a place that I love but had no friends. Making friends as an adult is always more difficult - I’m quite shy and find large groups tough, mid-life challenged (! ), my kids don’t need me to pick them up from the school gates anymore and I work from home. I love walking and am desperate most of the time not to be trapped behind my desk or at home (even though there’s a million things to do!). Glamoraks was the perfect solution and I thought I’d go for it! I’ve met some lovely people, had fun, laughed, gone to places I wouldn’t have had the chance to do and met some new friends. I’m always left feeling upbeat and positive from the company and being outside. I’ve even organised a walk and it was a success. Thank you Melissa for all that you do to enable others to get out there! I became aware of Glamoraks through LinkedIn and joined the group. I went on a Glamoraks walking weekend to Malham. I was a little apprehensive about spending time with a group of total strangers but by the end of the weekend, I felt like I had acquired some lovely new friends. And it was good to discover that we had lots more in common than just a love of walking and the great outdoors. Since then I have connected with some more amazing and lovely people that are now friends that I wouldn't have otherwise met. I rediscovered the joys of walking after reading about Glamoraks in 'Healthy' magazine. 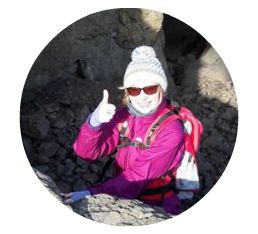 I joined because I was looking for local people to walk with. One member posted that she was new to Fife and wanted to discover areas to walk in. I messaged her and we arranged a 5 mile walk. We got on well and found we had a lot in common. We arranged another, longer walk and got to know one another better. Although meeting someone for the first time was a bit daunting, it's been exciting making a new friend!" I stumbled across the Glamoraks group quite by accident and was immediately drawn in to the whole ethos of walking with women. Since then, I have organised and led walks, joined in with other people's walks and been on an amazing walking weekend. I have met so many wonderful women who I'm pleased to say are now my friends. 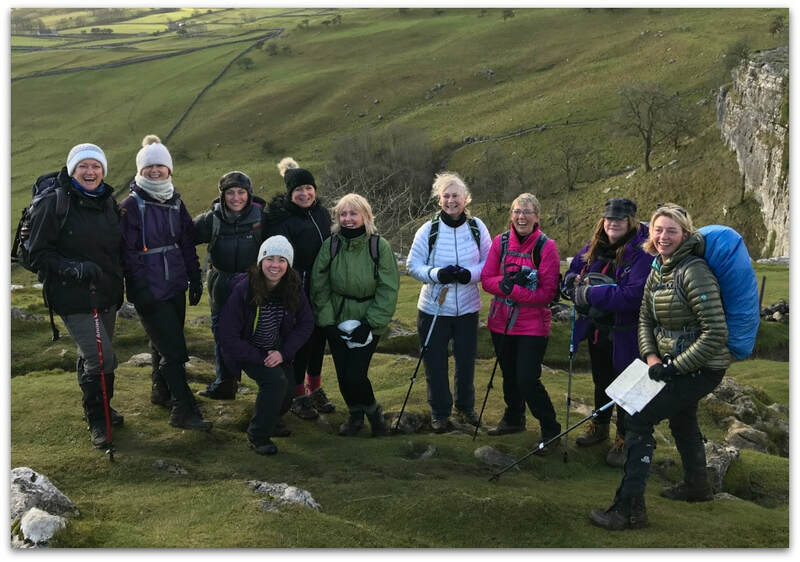 Walking with this group there is no pressure to be super fit & capable, everyone is welcomed and included and yet you achieve a lot more than you thought you could. I’ve learnt a few hints and tips about navigating, and kit etc. Finding a community who will show and/or share details of what walks are out there is great cos I’m a bit hesitant when it comes to figuring out where to go, so joining in walks others are going on is a real bonus. Inside of you is an adventurer. Go find her. WANT TO GET YOUR BRAND IN FRONT OF WOMEN WALKERS? Glamoraks is a new but rapidly growing community. We are looking to team up with suitable brands who support our ethos and who want to connect with women who love walking.